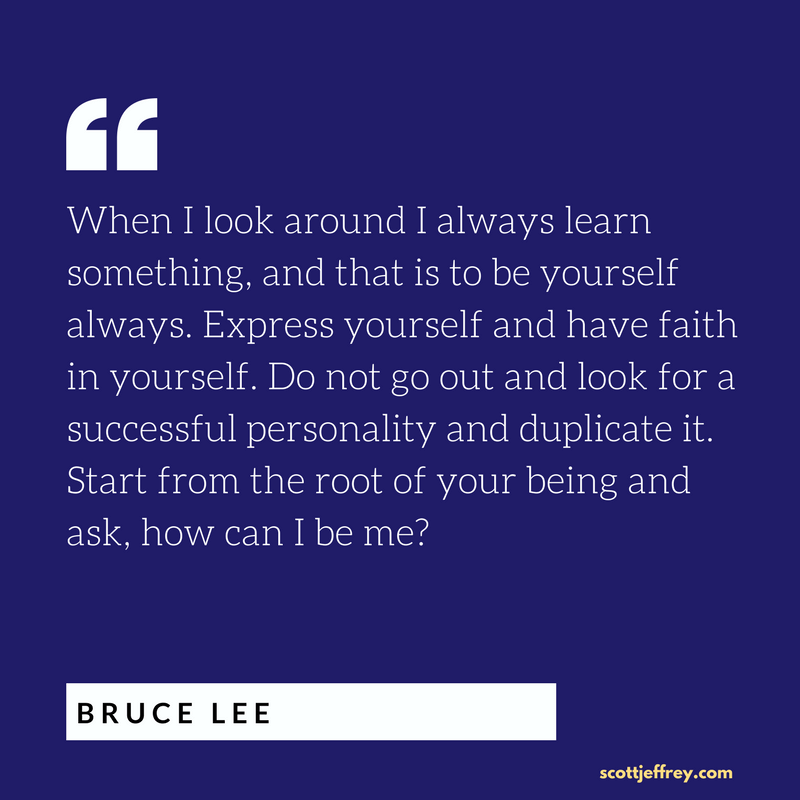 OVERVIEW: This guide provides step-by-step instructions on how to craft a compelling personal vision statement that will inspire you toward self-mastery and to realize your best self. Do most people you know have a clear vision for their future? Why Create a Personal Vision Statement? Because it’s easy to get distracted, to lose sight of what’s important to us. When we get disconnected from our life’s direction, other people’s agendas come before our own. Have you noticed how, at times, every phone call, email, and notification on your screen draws your full attention? While at other times, you’re absorbed in your work regardless of the distraction? Vision doesn’t eliminate distraction. It inspires us to focus on what matters. Vision provides clarity for the future while directing us to place our attention in the present. If you have a clear vision of where you want to go, you are not as easily distracted by the many possibilities and agendas that otherwise divert you. A compelling personal vision statement can illuminate our way in periods of darkness. It can inspire us to shed all the stuff that holds us back. There are at least four underlying reasons. Understanding these blocks can free us from the resistance that keeps us from crafting a personal vision statement. From early education onward, we have been conditioned to make life decisions based on a limited range of options. We make choices based on what’s in front of us; what we believe to be available to us. Creating a vision demands that we draw from an infinite range of choice, which makes us uncomfortable. Second, visualization is a skill. Visualization is also like a muscle. Many of us stopped exercising this muscle during childhood. Now, it feels uncomfortable to try to visualize our future. We fear we’re not doing it right. Many people tell themselves they can’t visualize or that it doesn’t work for them. That’s simply a belief, one ungrounded and untrue. The more we visualize, the better we get at creating from our imagination. We’re afraid we may not succeed. We question our competence, our ability to persevere. We are uncertain of our value: are we worthy of dreaming big? A part of us is used to playing small. To this part, safety is more important than growth. And a vision is a roadmap to growth. The unlimited range of options we must draw upon scares us too. Fourth, we think the vision has to be perfect. We believe we need the “right” vision, the perfect vision. The perfectionist in us needs to craft an ideal vision statement that’s timeless, true for all eternity. Naturally, this doesn’t reflect reality. In becoming aware of this false belief, it will no longer limit us. Okay, so there’s a fifth reason people struggle with finding their vision: they don’t get into the right mental and physical state before doing this type of process. You create a personal vision by going through a discovery process to clarify what’s most important to you. In order to do this, you must be in a frame of mind that’s open, alert, centered, and ready. We can call this mindset the state of mastery. Below are two methods to help you access this state quickly and easily. If you already have your own methods for finding your center, terrific. Use them. Or, try using the following exercises to prime yourself before you go through any of the discovery questions listed below. To get in the right frame of mind, the key is to find your center. When you’re in your center, you are fully present. Your mind isn’t racing to the future or ruminating in the past. Instead, it’s calm, empty, and alert. In your center, you aren’t inflated or deflated. You avoid extremes in either direction. To help center yourself, gently make your breathing slow, steady, and rhythmic. Next, place your awareness on your heart. Gently smile inwardly at your heart. Do this for three full breaths, still inhaling and exhaling calmly, smoothly, and quietly. Feel the warmth of being connected to your heart. Once you’re in the right frame of mind, proceed to discover what’s important in your life. Core Values: What are the five to ten things you stand by and value the most? Interests: What are five to ten things you enjoy doing the most? What elevates you? What can’t you live without? Dreams: If this was your last day on earth, what would you regret not doing, seeing, or creating? Skills: What are three areas you strongly want to cultivate skills in that will in some way enrich your life experience? Profession: What are things you must do to feel fulfilled in your work? Block off time in advance to reflect on the questions above. They represent the raw material for your vision statement. Remind yourself that this process doesn’t have to yield a “perfect” vision. Any vision is better than no vision. Whatever you create is not set in stone. It can evolve with you over time. So for now, simply create a “working vision.” Look at it as a first draft. The goal of crafting your vision is to simply capture the things that are most important to you. “Just sheer life cannot be said to have a purpose because look at all the different purposes it has all over the place. But each incarnation, you might say, has a potentiality, and the mission of life is to live that potentiality. How do you do it? My answer is, ‘Follow your bliss.’ There’s something inside you that knows when you’re in the center, that knows when you’re on the beam or off the beam. Take your time in crafting your vision. Return to the above questions repeatedly. Instead, allow the questions to percolate in your mind. Ask these questions before you go to sleep. Keep a pen and pad by your bedside. You don’t need to use force to draw these answers out of you. You need only allow them to come forward. If you perform the above exercises to quiet your mind and connect to your heart prior to asking these questions, the process will go more smoothly. How many of the above elements are essential for your vision statement? That’s up to you. Your vision statement can be a sentence or two. Or your personal vision statement can be a page long. Each day I uphold the values of [insert values] in all that I do. I am filled with vitality and passion when I [insert passions]. Each week I grow in the key areas of my life including [insert areas of focus]. I feel content and enriched each day because I capitalize on my natural strengths of [insert strengths] by doing [insert how you apply these strengths in your work and home life. I’m continuously developing [insert skills] for the sheer joy of doing something I love doing. Allow your vision to paint a mental picture of your life five to 20 years from now. Have it highlight what matters most to you, what you stand for and who you are committed to becoming. Write it in the present tense so that it feels as if it exists right now. At the start of the week. Sunday night. Take a few minutes to connect with your vision to prime you for the week ahead. When you feel lost or confused. When you’re distracted by 10,000 things, pause and review your vision. When you feel a part of you questioning the purpose and meaning of your life. Remind yourself that you have created personal meaning. And return to your life vision statement. Review it frequently until it becomes a part of you. A few words on a screen or a piece of paper doesn’t hold much power. If you want your vision to drive you to your desired destination, don’t just read it. Embody it. Bring it to life. 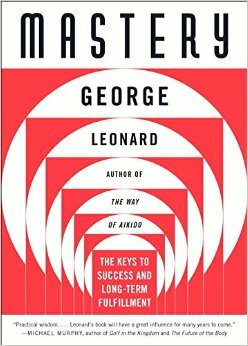 Enter a state of mastery and find your Center. Then, create a mental picture of it in your mind’s eye. See yourself in the end picture with your vision actualized. What do you look like? What are you doing? 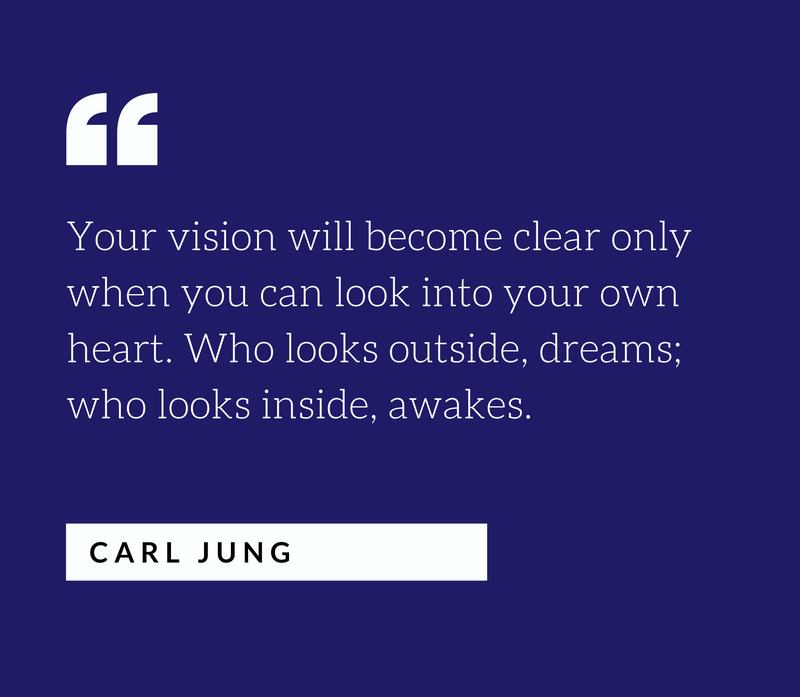 As you’re actualizing your vision, how do you feel? The more clearly you can connect with the images and feelings reflected in your vision, the more likely you are to take the right actions toward manifesting it. And somehow, when you’re living your vision, you get external help too. While willpower is an essential element of creating positive change in our lives, the reality is that it has its limitations: that is, our mental energy is finite. Armed with vision and values, it’s way easier to make behavioral course corrections and move in a positive direction. You now have a method to craft your personal vision. 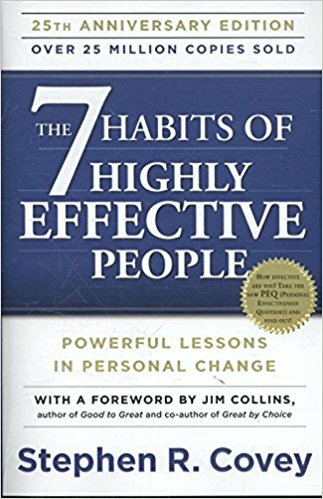 If you haven’t already, check out Covey’s best-selling classic, The 7 Habits of Highly Effective People. It helps clarify the key behaviors necessary for consistent effectiveness.